Tri-chloroacetic Acid (TCA) Is one of the best Chemical Peels original skin rejuvenation peels for people who want to improve moderate and severe sun damage or the signs of aging. 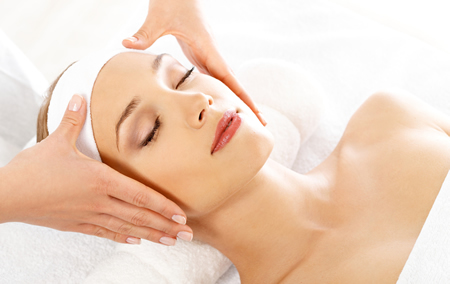 These chemical peels are designed to significantly improve the appearance, tone, texture and condition of your skin. This technique will to help restore wrinkled or blemished facial skin. A special solution is applied to the skin to peel away the top layers of skin. During the healing process a fresh, new layer of healthy surface skin is formed. The new skin will appear smoother and finer with a more even pigmentation after your chemical peel. 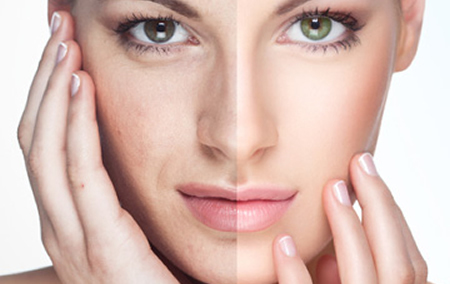 The peel depth we use depends on your skin type, skin condition and desired outcome. This is one of the Alpha Hydroxy acids (fruit acids) chemical peels. Fruit acids are nontoxic, naturally occurring substances, and are found in a variety of fruits, such as grapes, apples and sugar cane. Lactic Acid is a thorough exfoliator, removing the outer layers of thickened or damaged skin, leaving a smoother and healthier appearance. Brightens and illuminates the Skin. This chemical peel is designed for more extensive damage than AHA’s can improve and it is made from salicylic acid (a beta hydroxy acid), lactic acid (an alpha hydroxy acid) and resorcinol. 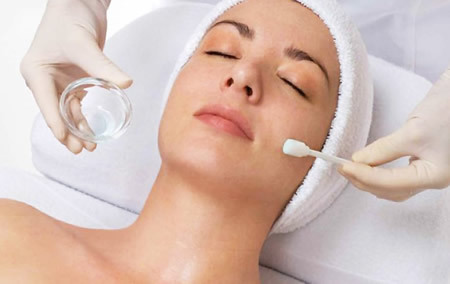 A medium strength chemical peel which consists of multiple peeling agents. These agents penetrate deeper into the skin and result in greater exfoliation of the outer skin layers. Great for treating acne, sun-damage and hyper-pigmentation. They can be used in conjunction with microdermabrasion for stronger results. This peel can successfully address a multitude of skin concerns such as inflamed acne, congested pore, fine lines and wrinkles as well as an uneven and blotchy skin tone. 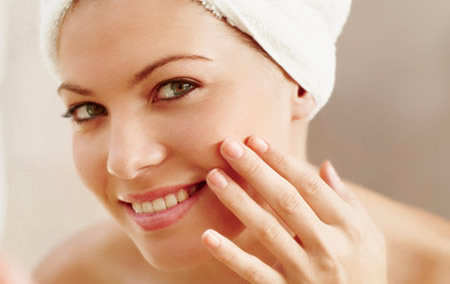 The Salicylic Acid peel is ideal for normal skin as it is neither too strong nor too mild for the resilient skin type. This peel helps to reduce the appearance of light scars and acne scars, freshens skin by producing new collagen and controls acne breakouts and reduces redness.